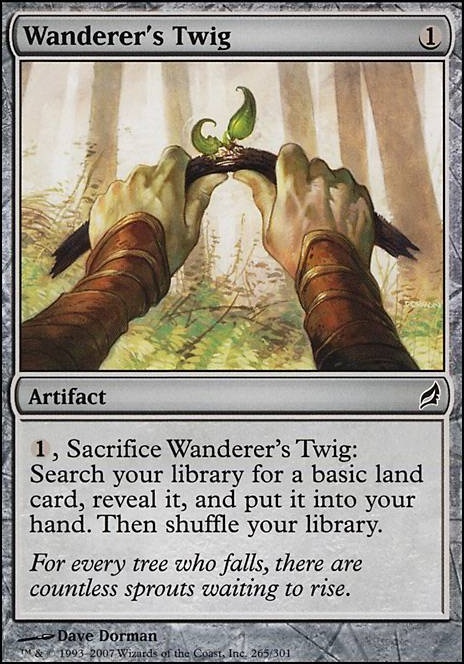 (1), Sacrifice Wanderer's Twig: Search your library for a basic land card, reveal it, and put it into your hand. Then shuffle your library. However, Barren Moor and Polluted Mire are good lands but if the budget can't fit them, they're definitely not worth slotting out non lands. Ghoulcaller's Bell is a must have for sure though. triproberts12, thanks for looking at the deck and for all your suggestions! I am trying to keep this list as close to $30 as possible, so unfortunately a lot of your suggestions won't make it into the list. 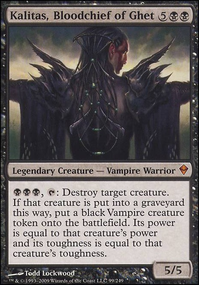 I've used both Dark Prophecy and Grim Haruspex effects in Chainer, and they are great! I've never seen Midnight Reaper before, so thanks for showing him to me. Like you suggested, Ghoulcaller's Bell could be a great turn one drop. Thanks! The reason I run Ashes to Ashes is because it hits two creatures and can deal with indestructible nonsense. I like Mark of the Oni because even if I don't have a demon out to keep the steal, I prob have a sac outlet out to sac the stolen creature (which also deals with indestructibles). You're right about Mortuary Mire being a little weird. I'd be ok with or without that card in Chainer. I actually LOVE Wanderer's Twig -type cards in all my non-green budget decks. They are a turn one play that thins the deck and makes sure I hit all my land drops. I've built a lot of $30 decks, and I find that securing land drops is one of the best things a budget deck can do in its first few turns. I would add cards that give you advantage through all the sacrificing and creature removal you have going on. Dark Prophecy would be my first add, and you might be able to pretty easily trade for a $3 Midnight Reaper , being from a currently printed set, and if Grave Pact and Dictate of Erebos are too pricey, Butcher of Malakir and Grim Haruspex could be good substitutes, especially since you have the means to reanimate him after a wrath. Black Market is a pretty unique effect, although Revel in Riches is a good win-con, if not as powerful on the mana-source side. I would also look into adding Bojuka Bog . You might also want a little mill to speed things up, since you're light on win conditions. Dread Summons is a good late-game punch, while Ghoulcaller's Bell could be a good turn-1 play for a deck without a lot of early plays. It That Betrays could be a good win condition, too, if you're forcing sacrifices. As for cuts, I don't think you have enough demons to consistently turn on Mark of the Oni . I would reconsider Ashes to Ashes , since you want reanimation targets, not to exile creatures. Mortuary Mire is a little weird, since you like to play things on the cheap from the yard, if anything, it's working backwards against what your deck wants to be doing. Wanderer's Twig and Traveler's Amulet . I feel like I'm missing something, but it makes no sense to me. Armillary Sphere , less so, but I would run Myriad Landscape and Isolated Watchtower first. Always nice to find another Sasaya player! This deck is a hard nut to crack but I think you are on the absolute right track. I will try to share what works for me. As you surely know the deck plays vastly differently with and without a fliped Sasaya, so I will give you my thoughts for each part, as well as a few general things I found useful. Pre-flip: This is the part where every mana spent counts. Spells you want to cast here should be as cheap as possible and make flipping easier. It seems kinda obvious but: to have 7 lands in hand, you have to have at least 7 cards in hand! Keeping your card count high while playing spells and lands is key for a fast flip. Continuous card draw like Howling Mine works great for this, top deck manipulation with Sensei's Divining Top is also nice. Spells like Gatecreeper Vine are essentially a land in your hand while providing a blocker too. 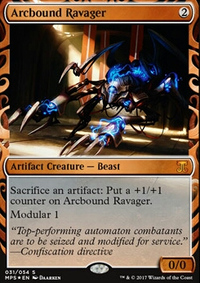 Ramunap Excavator and Crucible of Worlds let you play fetch lands or cycle lands from your graveyard keeping your stock in hand high. 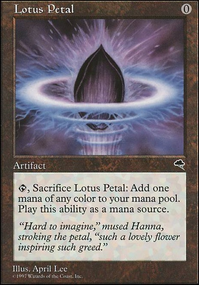 For that same reason Cultivate , Kodama's Reach , Peregrination and Khalni Gem are the best ramp spells you can get. Renegade Map , Traveler's Amulet and Wanderer's Twig push you over the threshold right before the turn you need it. Yes, they erode your hand size at first but that's right when Gaea's Bounty and the likes come in. Post-flip: Great, you got 7 lands in hand and can flip! But what else? City of Solitude would be another Dosan to protect you, but the real problem is finding a payoff card in a deck that is almost 70% setup. 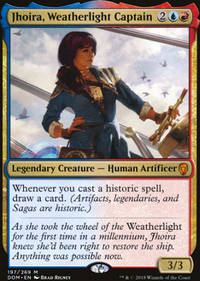 As you already play the Portal and the Ring, I guess you'll like Skyship Weatherlight too. You'll run out of life before you run out of mana with Book of Rass . Personally I prefer cards I can play pre-flip and can activate post-flip. Domesticated Hydra or Unyaro Bees look stupid when you play them, but finish off the most dangerous opponent quickly. Temur Sabertooth can be used in too many ways to count. Polukranos, World Eater is a boardwipe (together with Khamal, a landwipe too) and finishes off whoever can't play a blocker fast enough. Realm Seekers are huge or can get a new set of lands, in case someone removes Sasaya. My personal favorite: Oath of Druids ! You wouldn't think it works, but it simply does. It is a fast way to find Life, hitting a payoff creature means you don't have to cast it and the overall confusion when something big jumps out of another deck is a great distraction. Everytime I play it, the game is a blast! General thoughts: A few things, that come to mind, because they work for me. Please see this as constructive critique you can ignore too, if you think your deck works for you. 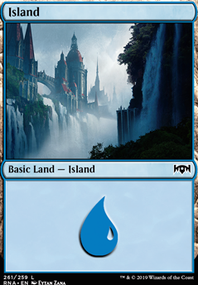 Because every extra land drop lowers your card count I really don't like additional land drops. While they are great for ramping pre-flip, they postpone the flip and become almost negligible post-flip. Essentially they are rituals and I only consider Summer Bloom worth the slot. I see you don't play any utility lands, but I think Glacial Chasm is just too good to pass up. 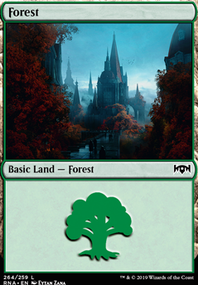 While we're on the topic of utility lands, I really think you should reconsider on playing cards that give no maximum hand size too. To reiterate: you can only reveal 7 lands if you have at least 7 cards in hand. Having the leeway of more cards beside your lands is what makes the effect a must have in my opinion. Library of Leng and Thought Vessel are worth their slots for me, next to the Tower. You not playing this effect creates a spiral: you still have to get up to 7 lands but you can never not consider what to do at your cleanup, suddenly searching for multiple lands becomes worse, then you have less food for spell mastery or delirium. Everything together is costing you at least 1 turn pre-flip. Especially if you chose not to play "no maximum hand size"-cards, but also in general, playing lands from your graveyard is always a good way to preserve your hand size. You state the the wave chain as your best win condition and you are absolutely right, it is the best. Still I don't like the Memorial just for how useless it is pre-flip. Let's be honest if the first Wave hits an E-Wit, you can Wave for the whole deck. What you win the game with in the end doesn't really matter. I like Goblin Canon because it can still work pre-flip in a pinch and still works in the wave. Too many cards to suggest but I hope there are some cards you want to try out. If you have questions I'll gladly follow up. Cheers! As of just checking now, I'm 0.08 under budget. Sword of the Animist is $2.81, so would need to cut (if I do 1 for 1 instead of downgrading a bunch of other cards), $2.81 - $0.08 = $2.73. Graveborn Muse, Noxious Gearhulk, or Mindslaver are the only possible cuts. I would probably cut the Scrap Trawler $1.62 or Go for the Throat $1.55 = $3.17 - $2.73 = $0.44 to replace 2 cards. Price of Fame is $0.25, leaving $0.19, which could be Costly Plunder $0.15 or Acidic Slime $0.24 (puts me a bit over). I was also hoping to get a Hex Parasite in here, but he's $1.76 a little pricey, might need to get both these in. Also have Wanderer's Twig, Traveler's Amulet, or Golgari Keyrune could look at for cheaper ramp, but not as dominant as the Sword of the Animist. Diligent Farmhand/ Font of Fertility/ Wayfarer's Bauble/ Dawntreader Elk ..., ramp 1. Traveler's Amulet/ Wanderer's Twig ..., fetch 1. Armillary Sphere ..., fetch 2. Khalni Heart Expedition ...must play. Night's Whisper $1.58 is too much, Sign in Blood is $0.18 (and can target opponents), Read the Bones is $0.16 but I don't like the CMC3. Night's Whisper/Sign in Blood definitely the best. Brainstorm $0.70 is even better imo. Ponder is $2.30 so not a great option. Brainstorm/Sign in Blood best for budget. Altar's Reap don't like it either. Costly Plunder also not quite right. Telling Time also not bad in budget $0.23 lets you scry one to bottom and replaces itself. Dimir Signet $1.80 is so much. Talisman of Dominance $1.29 is better because it's CMC2. Also, Talisman of Indulgence $0.72. Fellwar Stone $1.25 but less predictable. I think the Signets are great, but $1.80 is tough. Baleful Strix is $2.95 but pretty amazing, if you free up enough cash for him. Archfiend of Depravity $1.01 can dominate this format, you've seen it from my Glissa, the Traitor deck. Displacement Wave slows you down too much I feel, it can give you a Thraximundar alone. You control it with , but it's not going to work in 1 hour format, outside of the 1 hour feel it's pretty weak anyway. Soul's Fire also feels wrong, a turn you cast Thraximundar you won't have mana for it, only a handful of creatures going to deal enough to be of consequence. Shrieking Affliction is going to guarantee that 3x players are attacking you, and it's too slow to win you the game. Consuming Aberration is a higher CMC, but he can also build the graveyards, remember that time SolomonsEfreet had him out. But high CMC. $1.90 too. You have Fleshbag Marauder & Merciless Executioner but missing their good buddy Slum Reaper $0.19. Traveler's Amulet and Wanderer's Twig are great for color fixing and ramping. Wayfarer's Bauble goes onto the battlefield for CMC1 more. Deadeye Navigator has lots of positive applications in your build, but he's $2.15. I won't list everyone, you can read the LTB/ETB guys, but Peregrine Drake is infinite ETB & infinite mana. Murder always a nice multi-purpose removal in this format. Far // Away $0.24 can also be handy. You're mana source distribution is quite good 24% / 24% / 37% . Vona's Hunger was pretty good when SolomonsEfreet played it. Diabolic Tutor for Torment of Hailfire or the other half of Rite of Replication / Gray Merchant of Asphodel win-con. Dark Petition is $2.32 but can assist with casting the Gray Merchant of Asphodel, I also don't mind Razaketh's Rite because I just cycle it for if it's drawn early on. Desecration Demon might be fun, he's only CMC4. I think your fairly balanced too, maybe a little too heavy on Sorcery, sub 1 for an instant or another creature or artifact. One of the nice things with Thraximundar is you should get left alone early on because your not an immediate threat vs. someone like your Xenagos. I wouldn't go counterspell (maybeboard has so many), won't work in this format effectively. Havengul Lich has some recursion built in, but wouldn't say he's really that synergistic with Thraximundar but he can target others graveyards. Traveler's Amulet and Wanderer's Twig are very good in this format, I do use them frequently in $50 budget decks (example 2C Mardu Alesha, Boros' Crust. Whip of Erebos is very important in this format, often because combos are less prevalent, and often you will be killed through having your life reduced to 0. Lifelink is powerful in $50 budget commander league. Also, it's an artifact so can avoid removal, plus it allows me to recur creatures like Fleshbag Marauder/Slum Reaper/Merciless Executioner/etc that I can't recur, to trigger my Glissa, the Traitor ability to return my artifacts. Sangromancer to can gain quite a bit of life in an Barter in Blood/Mutilate/Etc type situation. I did opt-in things like Golgari Cluestone/Horizon Spellbomb/Etc because of draw or LTB triggers as well (on stuff like Mycosynth Wellspring for example. I thought I needed more tutors Razaketh's Rite/Diabolic Tutor but you might be right where I need more ramp now. I'll try and get some reps in, I have 4 $50 commanders now, so i usually randomly choose, but I can select, last season, and this season Glissa, the Traitor runs a 33% win ratio (in 4-player pods), so it is fairly consistent. Graveborn Muse recently added has been doing tons of work for me, giving Bone Picker a chance now, really like the deathtouch.